• Right-hander Jose Berrios and first baseman Kennys Vargas will represent the Twins in the Futures Game, which is MLB's annual prospect showcase as part of the All-Star festivities. Berrios was the Twins' supplemental first-round pick in 2012, going 30 spots after they snagged Byron Buxton. Last season a mediocre ERA hid what was a strong overall performance for a 19-year-old at low Single-A and this season his ERA and secondary numbers are on the same page. Berrios is one of just two 20-year-olds in the entire Florida State League with at least 50 innings, posting a 2.05 ERA and 98/21 K/BB ratio in 83 innings. His strikeout rate of 10.6 per nine innings ranks second in the league behind only a 23-year-old and he's held opponents to a .219 batting average with just three homers. Berrios ranked fifth on my list of Twins prospects coming into the season and has upped his stock even further since then. Vargas placed 23rd in that same ranking, but has also upped his stock considerably by hitting .318/.395/.531 in 70 games at Double-A. At age 23 he's not particularly young for the Eastern League and massive first basemen who'll probably wind up as designated hitters generally aren't a great prospect group on which to bet long term, but the switch-hitter has huge power potential and has made big strides with his strike-zone control. UPDATE: Triple-A right-hander Trevor May has also been added to the Futures Game roster. • Brian Dozier hasn't slowed down following his surprisingly powerful start to the season and in fact June has been by far his best month with a .310/.449/.549 line that includes four homers and more walks (16) than strikeouts (13) in 21 games. Going back even further, in the past calendar year Dozier ranks as the third-best second baseman in all of baseball according to Wins Above Replacement, behind only Matt Carpenter and Robinson Cano. During that 365-day span Dozier has hit .252/.340/.444 with 26 homers and 23 steals in 160 games, which along with very good defense adds up to an all-around performance that tops big names like Dustin Pedroia, Ian Kinsler, and Chase Utley. Not only does Dozier rank among the league leaders in walks after showing strong strike-zone control in the minors, his power has come out of nowhere after he hit a grand total of 16 homers in 365 games as a minor leaguer. • Ricky Nolasco has been disappointing, but the Twins' other free agent pitching pickup has outperformed expectations in a big way. Phil Hughes has a 3.40 ERA and 82/9 K/BB ratio in 95 innings after posting a 5.19 ERA for the Yankees last season and a 4.53 ERA in seven seasons for New York overall. He's issued zero walks in nine of 15 starts (60 percent) this season. Prior to this season Hughes had zero walks in 24 of 132 starts (18 percent). • Aaron Hicks giving up switch-hitting to exclusively bat right-handed seemed like a reasonable decision given his struggles from the left side of the plate, but after all of one month and very few at-bats thanks to a shoulder injury he's already gone back to switch-hitting. Hicks is technically in the minors on a rehab assignment, but it's hard to see what's gained by keeping him in the majors at this point. Let him try to thrive versus Triple-A pitching for a while. UPDATE: Hicks has been activated from the disabled list and demoted to Double-A. • Yohan Pino had the seventh-best "Game Score" by any Twins pitcher in his MLB debut behind Andrew Albers, Bert Blyleven, Anthony Swarzak, Allan Anderson, Eddie Bane, and Brad Havens. Take from that group what you will. • Kendrys Morales has hit .222/.271/.333 in 14 games for the Twins. Josmil Pinto has hit .282/.417/.513 in 12 games at Triple-A since his demotion. And his career OPS in the majors remains higher than Morales' mark since 2012. • On a related note, Glen Perkins had some pretty damning things to say about Pinto's pitch-framing skills, which puts a dent into his already slim chances of being a catcher long term. 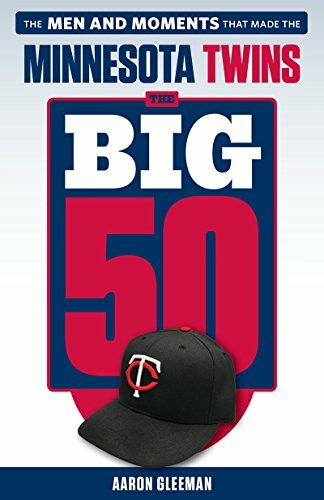 • Perkins' record as a reliever is 13-5, including 8-1 since 2012 and 5-0 since 2013, and the Twins have won five of his last six blown saves. Among all MLB relievers with 30 or more innings this season Perkins ranks fifth in K/BB ratio, seventh in strikeout rate, and ninth in xFIP. • Random thing I noticed while looking up some other stuff: Denard Span had a .390 on-base percentage in his first two seasons. Since then he has a .329 on-base percentage in five seasons, never topping .342 in any year. • Since the beginning of last season the Twins are 16-10 (.615) against the White Sox and 86-125 (.408) against everyone else. 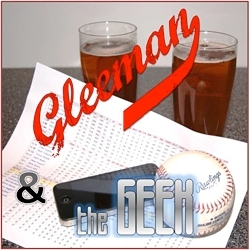 • For way more on Hicks, Vargas, Morales, and Pino, plus lots of talk about Oswaldo Arcia and Kyle Gibson, check out this week's "Gleeman and The Geek" episode. I feel like if you’re going to make a point about the last 12-14 games, it’d also be worth noting Pinto had hit .200/.227/.329 in 23 games (75 PA) since May 1. Glad you sounded the small sample size alert! Russell Carleton’s work for Baseball Prospectus has shown that it takes the triple-slash stats (AVG/OBP/SLG) quite a bit of time to stabilize. That is, for these stats to be predictive or even indicative of a player’s ability, you need to have a healthy number of at bats or plate appearances. Specifically, Carleton found that the triple-slash stats require, respectively, 910 AB / 460 PA / 320 AB to tell you something. Josmil Pinto has 211 at bats and 241 plate appearances in MLB. Let’s hold off on the triple-slash comparisons to Kendrys Morales for a while — and let’s please see fewer comparisons of these stats over spans of tens of games. They tell you absolutely nothing. I posted a similar message earlier with a link to my source, but my post went away, perhaps because of the link. My source was “It’s a Small Sample Size After All” by Russell A. Carleton, Baseball Prospectus, July 16, 2012. Carleton is a great source on the use and abuse of stats in baseball analysis.